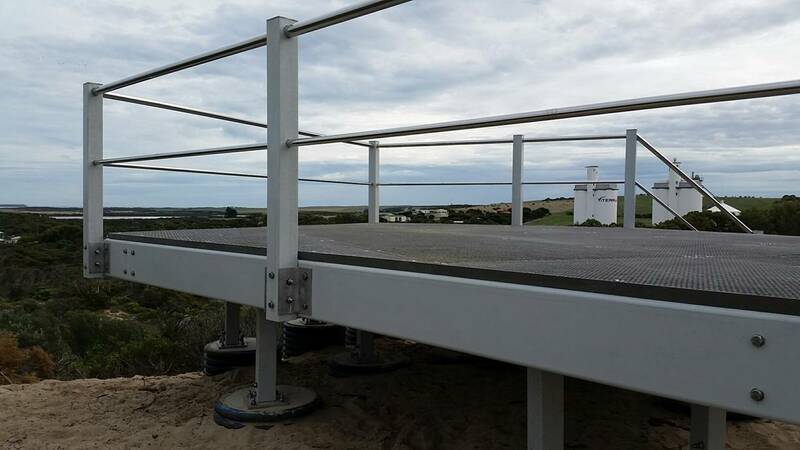 Specifically manfactured for Recreational Public Infrastructure and urban spaces, the Treadwell Team is proud to be releasing the most advanced systems of Fibreglass Reinforced Plastic (FRP) to suit. The EnviroTREAD™ range has broadened greatly since its debut and now encompasses our wood plastic composite decking, TreadWOOD®, and the complete ranges of our ACCESS SYSTEMS gratings and ArchitEX® FRP structural sections. These products are offered with an extensive range of supplementary items and fixings. With all mentioned above, coupled with advanced components, Treadwell is able to offer complete engineered solutions for your Recreational Public Infrastructure projects in urban spaces.